What is the Best Keyless Entry System for a Commercial Building? Keyless entry systems aren’t just the future of access control – increasingly, they’re the present, too. By now, you’ve almost definitely experienced keyless entry systems for yourself. There are the keyless entry cars that rely on slick apps or location-based key fobs to automatically open doors when the driver approaches. There are the smart home setups that seamlessly allow access for family members and promise to maintain security against intruders. And then there are the commercial keyless entry systems – not quite as cool as stepping into a push-to-start car, perhaps, but incredibly beneficial for access control and building security. The technology is becoming standard as the world is moves beyond traditional keys and into the world of keyless entry systems. And there are big benefits: enhanced security, better data, and better access control. Now, the question is: what is the best keyless entry system for your commercial building? The answer, unsurprisingly, will vary based on your building and context. But finding the right answer is easier if you’re aware of the options that are available. 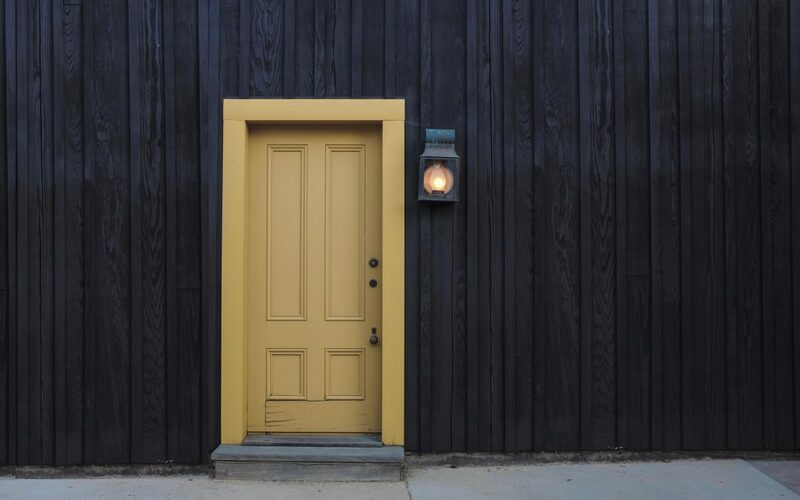 With that in mind, let’s take a look at a few types of keyless entry systems to find out what could work best for your building. Key-fob-based systems are some of the most common keyless entry systems available on the market. If you’ve owned a car that’s been made within the last fifteen years, you get the idea – your key fob allows you to unlock doors when you’re in proximity of the receiver using an encrypted radio signal. Commercial key fobs work generally the same way and can be active (meaning data is transmitted and doors are unlocked upon push of a button) or passive (meaning data is transmitted consistently and doors are unlocked when the fob is held to the reader. Card-based systems function similarly, although there’s potential for different methodology. Cards can transmit data via radio signal (in which case they function exactly as key fobs), or via magnetic stripe. With either keyless entry system, the benefits and drawbacks are similar. Biometric access control is a second method for keyless entry. While the idea of biometric access once seemed futuristic, it’s becoming increasingly commonplace in commercial settings. The logic to biometric keyless entry systems is fairly straightforward: individuals’ biological identifiers (like facial structure or fingerprints) are used to grant access into and out of buildings. This, in theory, makes security tighter and also removes the danger or lost tokens. Fingerprint scanners, for example, can be configured at entry and exit points. Individuals who have registered access with the system are then able to scan their fingerprint and enter a location. Facial recognition systems work in much the same way, although today’s machine camera technology can take things to the next level by automatically granting access on sight of a person – so, doors can be unlocked without any real action by recognized users. Biometric access control is gaining traction – it’s effective logistically. However, it’s not without its drawbacks, too. It generally provides increased security, as it’s harder to fake identity than to replicate a token. Finally, app-based access control is a third type of keyless entry system. As noted in the name, these systems rely on user control through mobile apps to grant entry and access. The methods to this can vary – for instance, some systems function by allowing users to control access-granted locks from within the app. Other app-based systems function more similarly to key fobs. These variations use proximity technology such as beacons to open doors when users are near, or, alternatively, open when a phone is pressed to an access point. These systems can be tailored to fit a range of contexts, because they’re generally less hardware dependent and can often be customized easily via the admin side of the application. However, they also have drawbacks in addition to benefits. Ready to choose the right keyless entry system for your commercial building? Keyless entry systems are becoming ubiquitous for good reason. If you’re considering upgrading your building access control, there’s no better time than now. Hopefully, these considerations have helped as you look to identify a keyless entry system that best fits your location. But if you’re still asking what the best keyless entry system for a commercial space is, don’t worry – we can help. At Medlin, we’re experts in building access control, and that includes cutting-edge keyless entry systems. We can help you identify, design, install, and maintain systems that are best fit to your space, so that they work the way you need them to, when you need them to. We’ll put cutting-edge solutions to use to help you rethink building access for the better – and we’ll never sell you a solution you don’t need. Most importantly, we’ll make sure the job is done, so you’ll be able to have full confidence in your systems. If you want to ensure you get the best keyless entry system for your commercial building, get in touch with us.